Strange Cargo’s Triennial contribution was an illustrated alternative guidebook of their hometown, Folkestone. Through image and text, their A6 pocketbook presents hidden sites and forgotten landmarks of personal interest. It was the outcome of a lengthy collaboration with local residents. 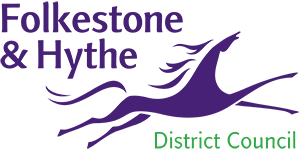 A collection of memories, whimsies and facts, the guidebook offers a glimpse of what it is like to be at home in Folkestone. Two hundred of the observational texts were printed on discreet acrylic plaques, fixed in their respective locations. 'The People's Guidebook To Folkestone' was sold from the Triennial Visitor Centre and Strange Cargo's base at Georges House Gallery, The Old High Street. Alongside the installation of 200 signs around Folkestone was an exhibition at Georges House Gallery from 25 June to 20 August 2011. 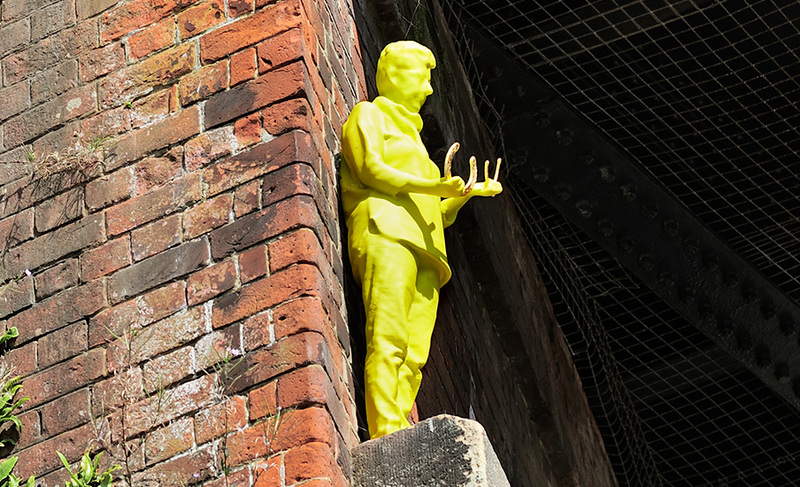 For Folkestone Triennial 2014, under the leadership of Brigitte Orasinski, Strange Cargo responded to the title Lookout by researching residents’ perceptions of Folkestone now and in the future. Over 650 people contributed to the call for lucky information and four lucky participants were chosen to represent different age groups through the reproduction of their images. The four figures are clasping the most popular symbols of luck suggested through the research, and are resplendent in gold and adorned in the colours most associated with luck. 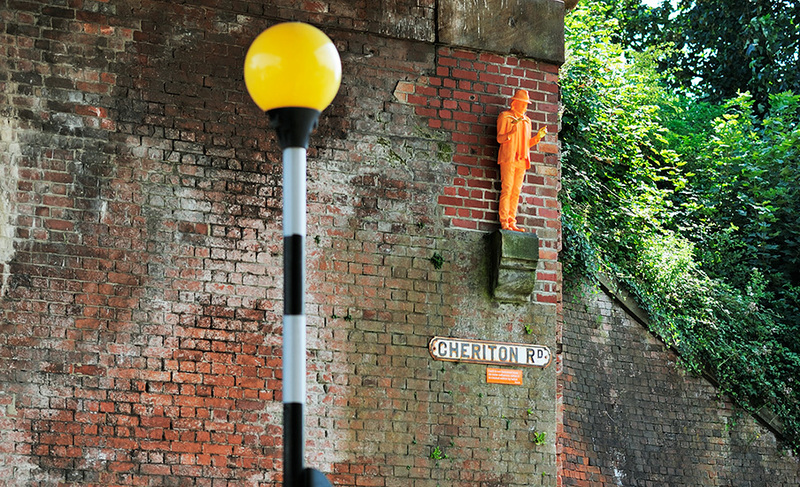 The Luckiest Place on Earth, at Folkestone Central Railway Bridge, transforms the bridge into a Lucky Gateway to the town through artistic sleight of hand. It makes use of existing (but unused) plinth-like structures on the bridge walls, a little suggestive of the plinths in churches supporting medieval statues. 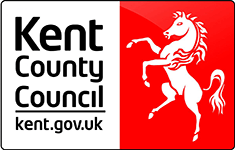 The four lucky participants have been digitally scanned using cutting edge technology and 3D printed to become representative, lucky icons for Folkestone. 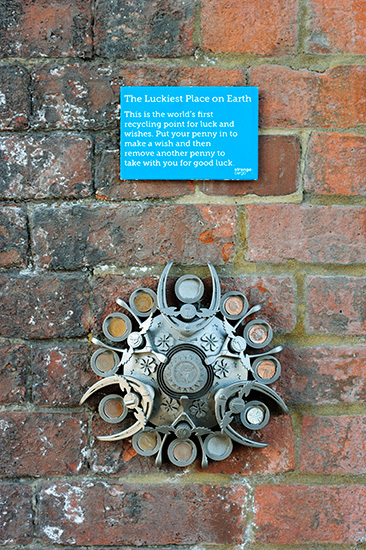 Below at street level the Recycling Point for Luck and Wishes is embedded in the bridge structure; a disc-like receptacle that invites passers by to deposit a penny to make a wish, or to take a penny away for good luck. Strange Cargo questions the viewer’s perceptions and relationships to luck, and asks how we might move forward. 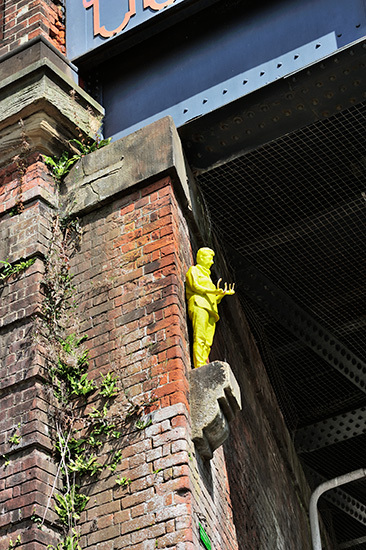 Over the past 15 years, Strange Cargo has established a reputation for high-profile public art interventions, delivering award-winning projects. They also curate Georges House Gallery in Folkestone’s Creative Quarter, and their ethos of large-scale participation in the visual arts has emerged from their practice in the field of carnival and celebratory arts.